NYSSPE Representatives at Annual NSPE Conference. Left to Right: Anthony Fasano, P.E. (NYSSPE Executive Director), Larry O’Connor, P.E., L.S., F. NSPE (NYSSPE Past-President), Laura Pellizzi, PE (NYSSPE President), David Janover, P.E. (former NYSSPE member), Andrew Yarmus (NYSSPE Regional VP and NSPE PEC Chair), Rick Kotecki, PE (NYSSPE Member) – present but not in photo. 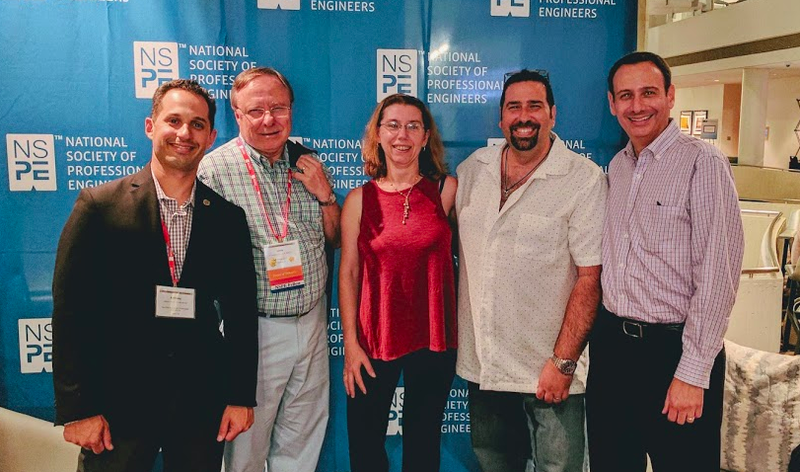 Recently, several representatives of The New York State Society of Professional Engineers (NYSSPE) participated in the National Society of Professional Engineers (NSPE) annual conference, which was held in Atlanta, Georgia. 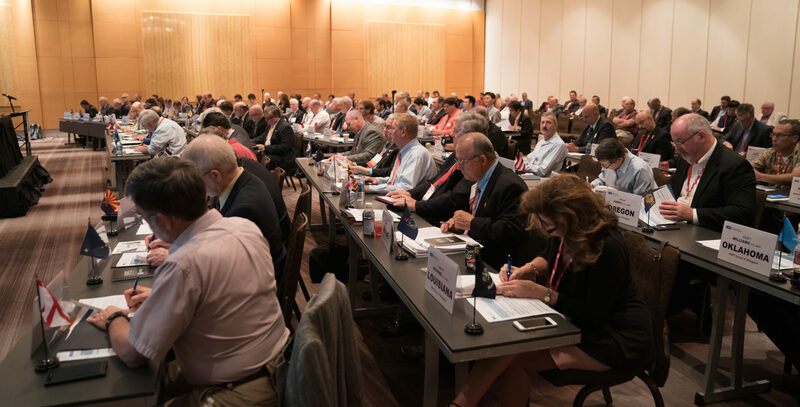 These representatives included Laura Pellizzi, PE (NYSSPE President), Larry O’Connor, PE, LS, F.NSPE, (NYSSPE HOD Delegate), Andrew Yarmus, PE (PEC National Chair), and Anthony Fasano, P.E. (NYSSPE Executive Director).